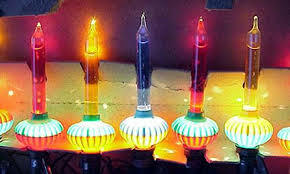 Christmas lights have gone through an evolution of sorts since their inception in the early 1900’s. Light bulbs, in general, have become more reliable and efficient since Edison’s bright idea came to fruition. In the 21st century, we have lights that look better, cost less, and are easier to maintain. 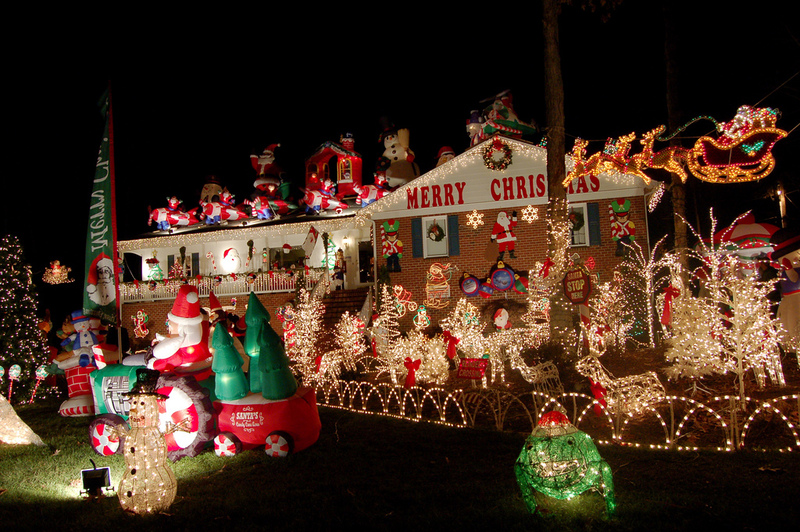 So why do we only decorate our homes with light during the holiday season? When Christmas lights started becoming popular they were primarily indoors and were exclusively bubble lights. A bubble light consists of a liquid-filled tube that is heated and lighted by an incandescent light bulb. Because of the liquid’s low boiling point, the small amount of heat generated by the lamp causes the liquid to boil and bubble up from the vial’s base thus creating a decorative effect. These lights were unstable and expensive. The progression of technology and the popularity of decorating for Christmas spawned the tacky colored LED decorations we know and love/hate today. One of the biggest problems of utilizing wired LED light decorations has been that if one light burns out the entire strand doesn’t work. But today it’s not hard to find strands of lights that are wired parallel, so when a light goes out your decorations are still going strong. Christmas decorations don’t have to be gaudy or tacky. The growing trend in outdoor light decoration is a classy clear or white look. Here’s a controversial thought: what if you kept these light all year round? Crazy I know! But if styled correctly decorative light can give your patio or deck an ambient welcoming feel year round. For the obsessive decorator having year-round light is a blessing. It can make your Easter decorations pop or your Fourth of July decorations unique. 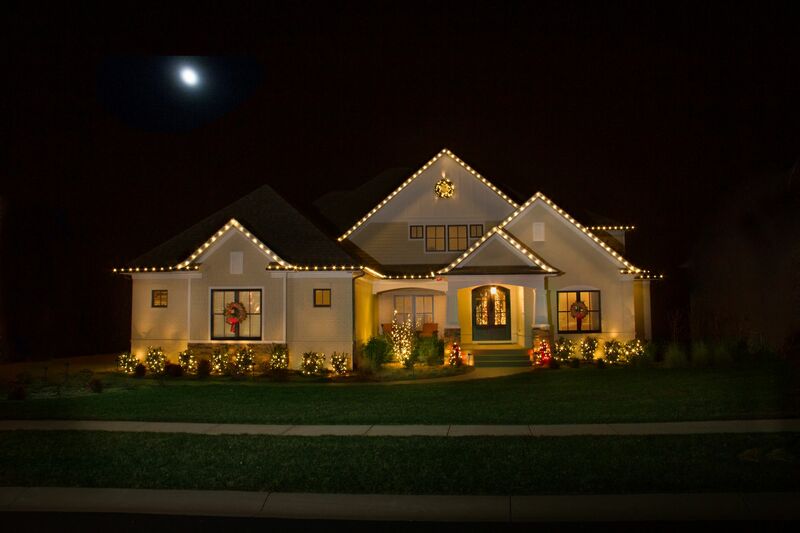 Christmas time will always be the most popular time of the year to utilize outdoor lighting decorations, but year-round light decorations are rapidly becoming a trend. 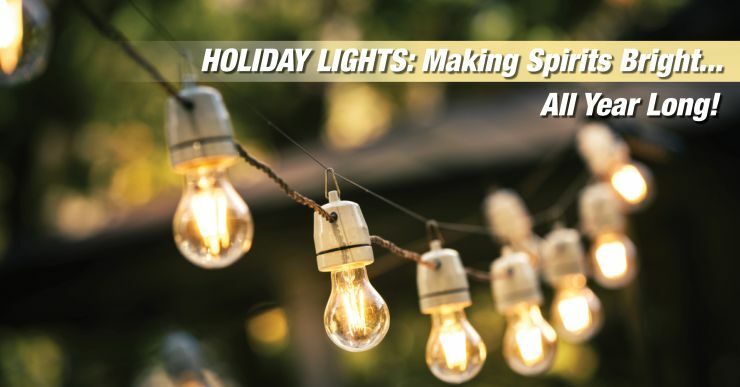 Whether it’s just a simple roof line or something more elaborate around your pool, decorative light can really change the way your home looks and feels!